LIN'S GENEALOGY HELPS: Found an ancestor! My husband has a great grandmother who we were told was part Indian. 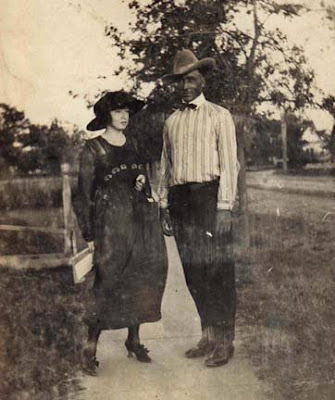 She lived in Texas and was able to get allotment checks during her later years from the tribe she belonged to in Oklahoma. Searching for her records for years we weren't all that sure what her name was or which tribe she belonged to. We had looked for her under the wrong name but we discovered her real name after talking to my husband's uncle Bill at Thanksgiving dinner. Genealogy is fascinating and habit forming. I've always loved jigsaw puzzles as a child and perhaps that explains my interest in tracing my ancestors. Congratulations. It takes a lot of owrk to make discoveries now that you have done so much already. But the new discoveries are even sweeter this way. Congratulations on your success! I love your tenacity. Congratulations, Lin! This is so interesting. What wonderful find. That IS so interesting! And I love that wonderful photo. I love to do genealogy research. And I know I have a Choctaw ancestor on my Dad's side...but haven't had any luck finding any info. That is so cool!! I love ancestry, too, and this is a really neat story. I really hope you can carry it on further. Congratulations Mom! Thanks for all you do! This is GREAT stuff! I am continually amazed at the family photographs you have managed to collect. I have a few...and each of them are precious. They just seem like their aching to tell a story. The young lady in this picture looks so soft and feminine. I love, LOVE her outfit. I vascilate between thinking it would be fun to dress like that and thinking it would be itchy and awkward. Jeans and t-shirts are such easy wear. You can climb on and off the buckboard (so to speak) without exposing things best left unseen. What a great discovery and a missing piece of the puzzle. I love the pic and the dress.